Did Google Change Exact Match Domain Rankings? Exact match domain Ranking changes. Google filed a patient in 2003 describing how they might handle the issue of exact match domains getting better rankings in the search engine results compared to other sites. That patient was just approved. There appears to be some strong evidence (at least at the local organic level) that Google has already started making changes in the SER based on discounting the value of a domain with an exact match domain name. We have several sites that have exact match keywords in the domain that we built more than 6 years ago. In the last few days, one fell from the first position for its exact match keyword, to the 11th position. This is a local site. None of our customer domains are using this strategy, just sites we built throughout the years for one reason or another. We also have seen our non domain exact match sites move up, and in some cases significantly. 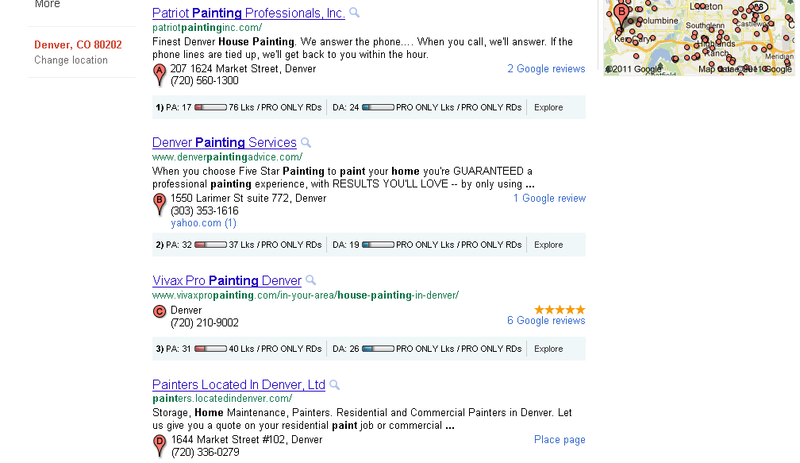 This blog is a great example, as two days ago it was ranked number 11 under SEO in Denver, and today it is third. It should be noted we don’t do any specific SEO program to our site; we are just active on the Internet in natural places. No one spends 8 hours a week or month or year doing SEO work for the site. I would love to hear if you are seeing a change in your site based on exact match domain names. The fact that Google has made two major changes in the last two weeks that have also had a large effect on many local rankings will make this a little more difficult to figure out the old causation versus correlation of a change. It also appears that this change has had no effect on the Google Maps results. It wouldn’t surprise me if we see the Maps rankings change some based on this as well, but the Google Maps listings have a tendency to follow organic changes after a period of time. SEO is a tricky little devil these days. Ultimately the bottom line on any SEO program is how much new profitable business you have come from it. If you are looking for reports about the effectiveness of your SEO programs we thought we would show you what we produce for clients. This is a partial quarterly report. 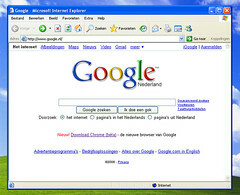 Have your web firm add the Google 1+ button on your site. My One Call to work on specific opportunities identified on this report. Including SEO for “Painting Contractor in” Keyword, via on site suggestions, places account and anchor text on My One Call owned sites. Add social media links in August. Add no follow links. Link profile is high in Follow links. Current SEOmoz SEO ranking. PA 37 and Domain Authority 26 ( Seomoz is the internet’s most reliable SEO ranking service, that closely monitors and try’s to replicate Goggles Algorithms ) Add diversity to link profile to improve rankings overall. Your site is Ranked Number two using this method. As you can see when a consumer searches with out a “city” you are still in great positions. The national sites do show up above the map, but as we are seeking consumers looking for local painters your click rate for these searches should be similar to the local intent (city name ) searches. Her are the rankings in your primary cities for that search. Your sites ranking is determined by two large buckets. The first is your on site optimization, which includes Meta tags, Copy, and navigation, and the second is off site optimization which is how many sites, social media, and mentions link to your site, or mention your company. Current Back Links from Link Diagnosis.com. This report is also attached as an excel sheet with more information. We have attached a PDF of this report to the email sent. Impressions you have by Key word (how many times your site showed up in search results on Google for the keyword last 30 days. We checked your sites linking structure in Google web master and it appears good. July: Cost is down a little over July. Greely and Fort Collins are by far the highest clicked and cost. Some of the images where removed, but you can see our point. SEO is about rankings, and those rankings resulting in customers.